It seems my food choices are color-coded with my reading. 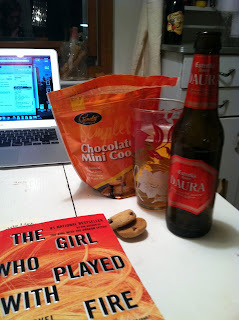 I'm nearly done with the semester—no more memoirs to read, so I've thrown myself whole-heartedly into some fiction, some bite-sized chocolate chip cookies, and some beer. It's a great combination. 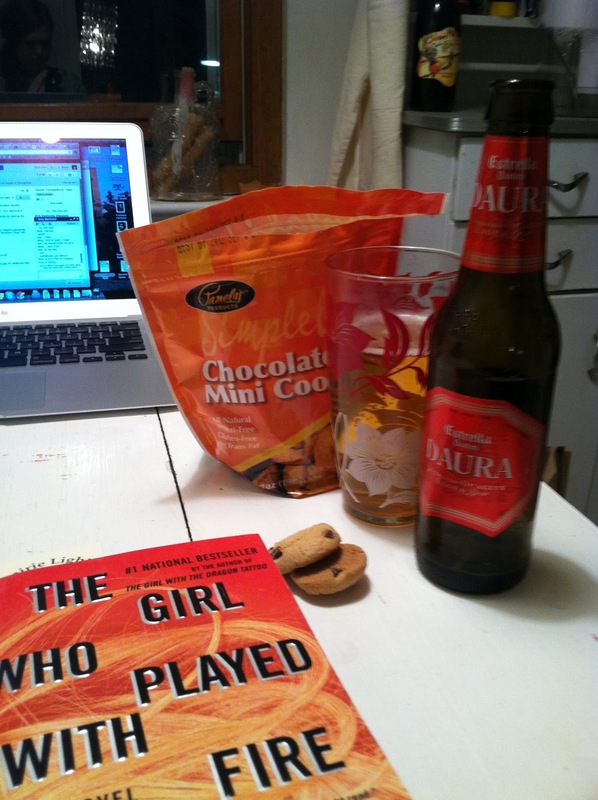 I love Daura.... it's quickly become the only GF beer I want to drink.